CityCenter Las Vegas is the large development in the Las Vegas strip that is home to Aria Resort, Vdara Hotel and Spa and Mandarin Oriental. Along with those resorts, Crystals Shopping Center and Veer Towers also populate the large campus just north of Tropicana Avenue and adjacent to Monte Carlo Resort. You can now experience the new Las Vegas. As the city transforms, so does the skyline and the Las Vegas strip is now infused with a destination resort that includes stunning design, environmental awareness, impeccable culinary offerings and a level of service that will be difficult to rival. Crystals - The place to shop, to walk, to dine and to enjoy all that CityCenter is about will be at Crystals. 500,000 square feet of sophisticated retail and dining experiences that will keep you in the Las Vegas moment throughout your stay. Clubs, restaurants, shopping and a place to stroll in and around CityCenter. The City Center Art Collection - You will be shutter-happy when you discover the largest corporate art collection of its kind. This ambitious project will put CityCenter on the itineraries of art-lovers around the world. Be it sculptures, installations, design, architecture and paintings, CityCenter will change the way you view art in Las Vegas. Set on some high priced real estate City Center's neighbors are Monte Carlo Resort to the immediate south. (Accessible through a walk way at Aria) Bellagio is to the north and can be reached on foot through the Vdara or by tram with stops at Aria and Crystals. 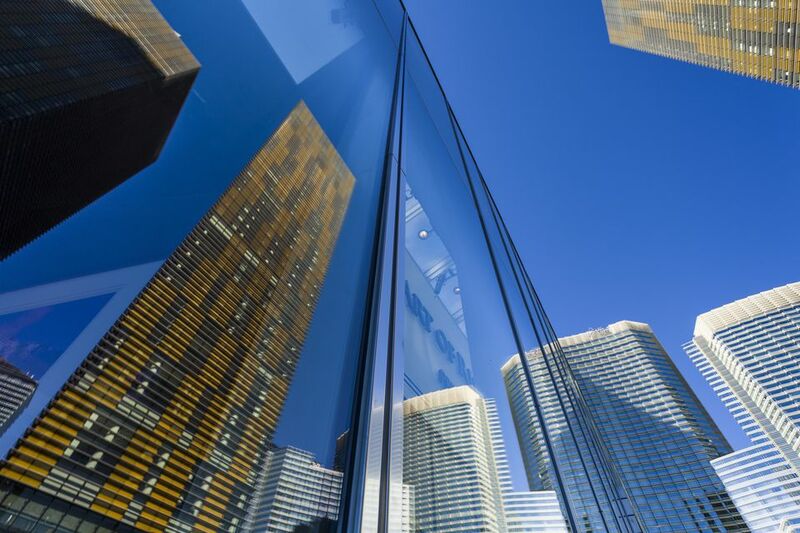 Cosmopolitan Resort is next door to City Center and can be accessed via walkway from Crystals shopping area or staircase alongside Vdara Hotel and Spa.